Dayton Intermediate School (DIS) recognizes the importance of extracurricular activities in a young person life. 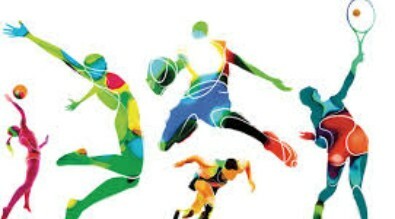 DIS encourages and has opportunities for all students to participate in the athletic programs offered by the school. 6th graders may compete in Cross Country, Wrestling, Track and Field as well as the Academic Olympic team. The 7th and 8th grade students may compete in all the previously mentioned activities as well as Girls Basketball, Boys Basketball and Volleyball. Our Cross Country, Wrestling and Track and Field programs are open to all comers and do not cut participants based on ability level. Due to the typical high number of students trying out for Basketball and Volleyball cuts are a necessary evil and a time that no coach looks forward to. The goals of any athletic program should include building self-esteem, developing skills, to encourage ALL students to participate, and to develop self-discipline and self-motivation. The athletic department staff work very hard at emphasizing and modeling good sportsmanship as well as the importance of teamwork at all times. Furthermore, students will be challenged to strive for the highest level of excellence as they participate and learn how to compete. Student/Athletes are held to a higher standard and are expected to comply with ALL eligibility guidelines. In addition to developing skills, being apart of a team and learning how to compete, it is extremely important to the athletic department that each and every student/athlete has a positive and fun learning experience. It is my hope as athletic director that every student, regardless of athletic ability, seizes the opportunity afforded to them and participates in at least one of the extracurricular activities offered at Dayton Intermediate School.